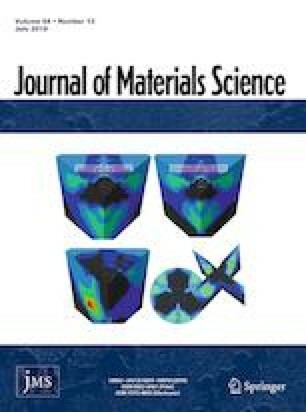 The diamond-reinforced Ni nanocomposite coatings were fabricated by a co-electrodeposition technique from a modified Watts-type bath in the presence of the organic additive glycine. Then, the effects of glycine on the morphology, microstructure, and mechanical properties of composite coatings were investigated based on scanning electron microscopy, energy-dispersive X-ray spectroscopy, X-ray diffraction analysis, hardness testing, and wear testing. By optimizing the glycine concentration, the incorporation of diamond particles was increased from 8.07 to 15.53% at%, while the size of nickel crystallites decreased with increasing glycine content to a smallest size of 15 nm. The relationship between the glycine concentration, microstructure, and mechanical properties including microhardness and wear resistance of the composite coatings was examined. The coatings hardness increased from 280 to 580 HV as the glycine concentration increased from 0 to 10 g L−1. These increases in hardness were attributed to an increase in the content of embedded diamond particles in the coatings and the decrease in the nickel grain size. The friction and wear properties were evaluated as the concentration of glycine was optimized, showing a decrease in the wear volume from 37.8 × 10−3 to 17.9 × 10−3 mm3. The wear resistance of the composite coatings increased as the glycine content was increased to an optimum value of 10 g L−1, beyond which wear resistance decreased. Finally, a potential mechanism was proposed for explaining the effects of glycine on the microstructure and mechanical properties of the Ni–diamond nanocomposite coatings. This work is financially supported by the National Natural Science Foundation of China (Grant Nos. 11772223, 11890682 and 61727810). We thank Andrew Jackson, PhD, from Liwen Bianji, Edanz Group China (www.liwenbianji.cn/ac), for editing the English text of a draft of this manuscript.